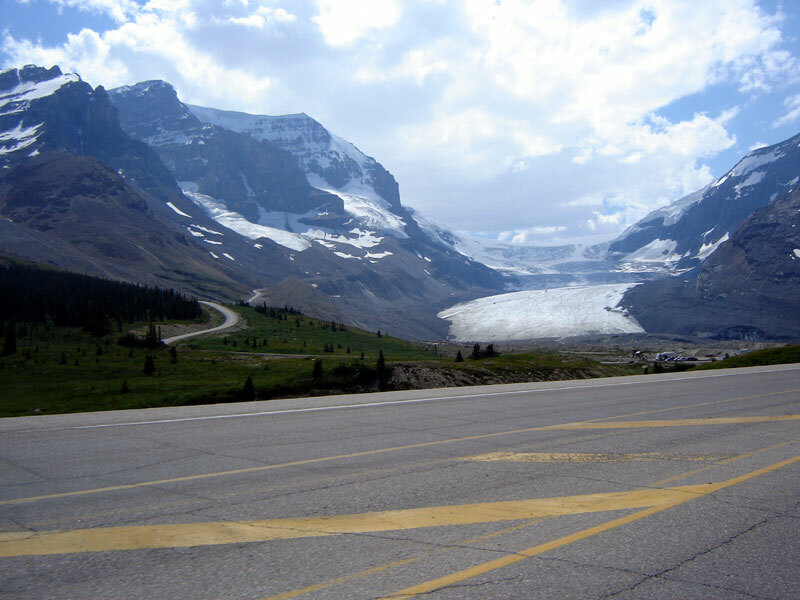 The Athabasca Glacier appears to flow down to the Parkway. 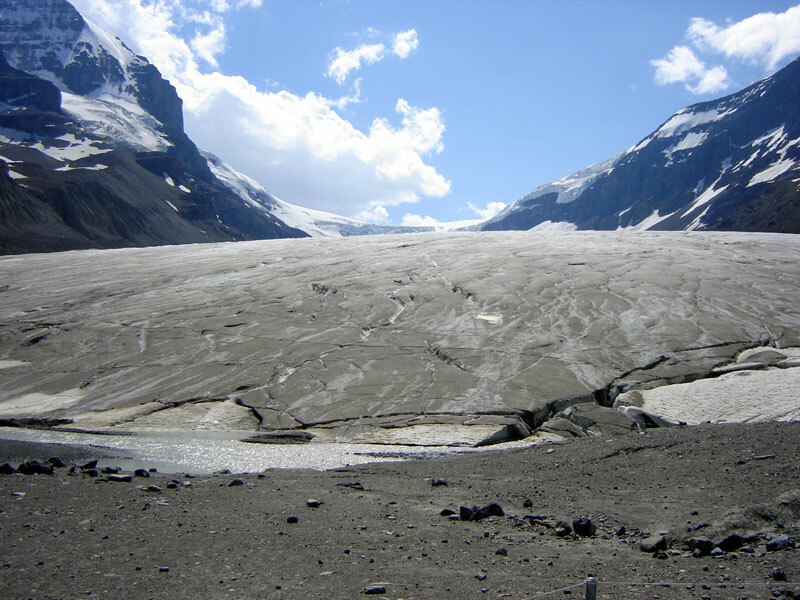 Stuart walked up to the base of the Athabasca Glacier. 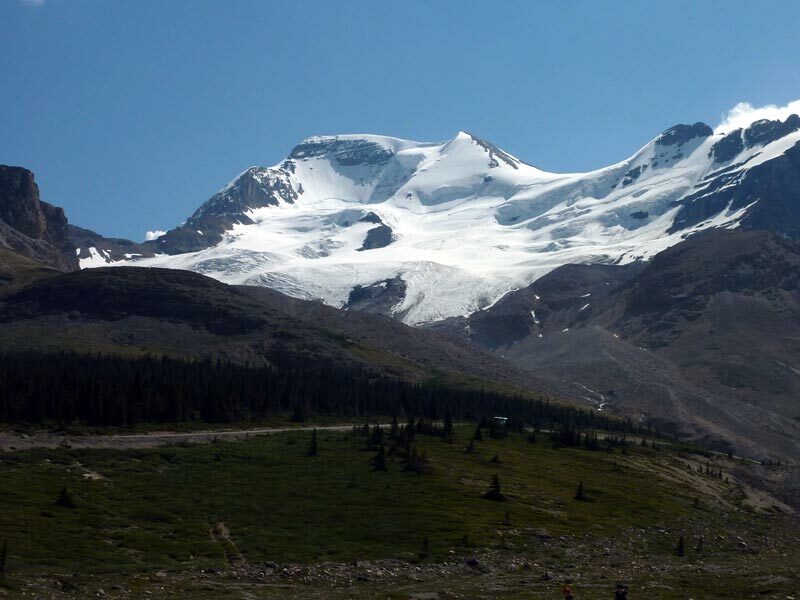 Ah yes, did we mention that this was a motorcycle tour?